You can design your own Sectional Travel Hoop right here by choosing one of our Tape Design Templates and plugging in your favorite colors. One hoop that suits all your needs...the journey begins here! 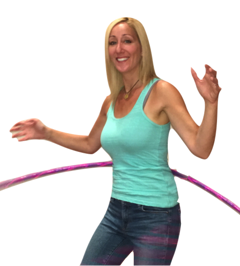 The TrinityStarr Journey Hoop is designed to accomodate you throughout your Hoop Journey. 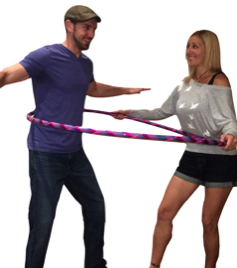 It starts as a base 38”, 4 Section Travel Hoop and comes with additional sections to add 2”or 4”. You can add or remove the included sections to make your Journey just right for you. The Journey Hoop comes apart into 4, 5, or 6 Sections, plus the 2 additional sections that are not only beautiful, they are extremely portable and tough. This level of portability allows you to take your hoop wherever you go. 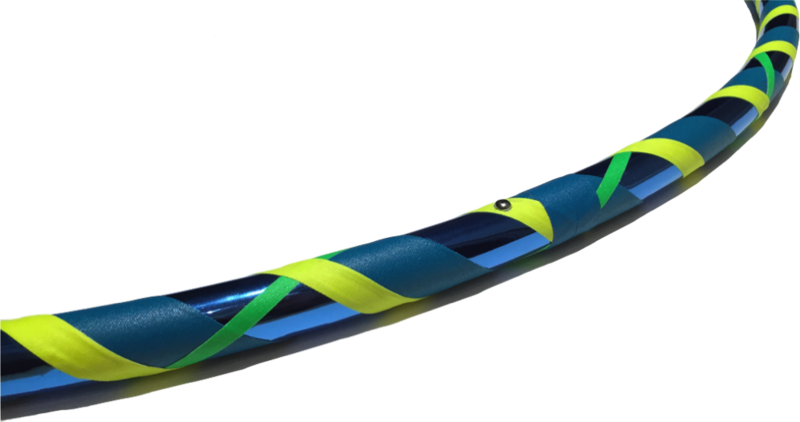 The Journey Hoop was designed to adapt to your hooping needs. Sharing with a beginner or beginning yourself, go 40”, 42” or 44”. Getting it, rockin’ out? Go 34” or 38”. Want to go small? No problem, make it 32” or 34”. 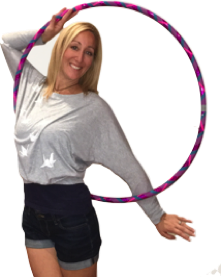 The Journey Hoop is also excellent for teachers working with students at a variety of skill levels. Our Inspired Designs are a collection of designs from ours, and our customer's creations. 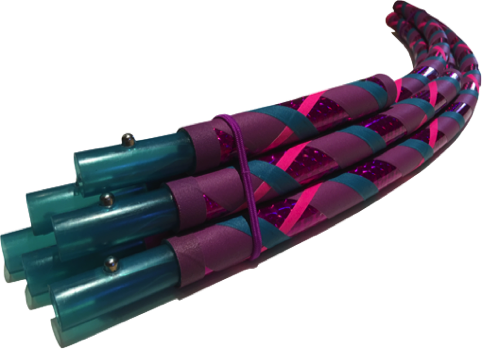 If you're having a hard time designing your hoop, maybe you'll fall in love with one of these. Order a Journey Inspired Design Hoop Here! Choose colors from the table above. You can also include your desired colors in the Notes to Seller section at checkout. How many sections for the base 38"? A Journey with a 4 Section Base would have 30" Sections. 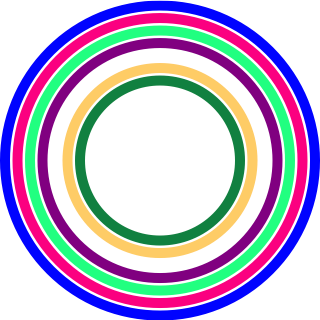 The sizes the hoop would adapt to would be 32"/34"/38"/40"/42"/44"
A Journey with a 5 Section Base would have 24" Sections. The sizes the hoop would adapt to would be 32.5"/34.5"/36.5"/38"/40"/42"/44"
A Journey with a 6 Section Base would have 20" Sections. The sizes the hoop would adapt to would be 31.5"/33.5"/35.5"/37.5"/38"/40"/42"/44"